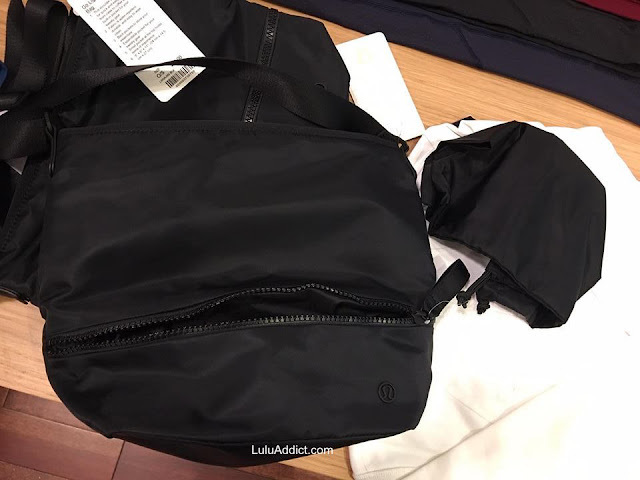 Some photos of the pocket layout in the new Go Lightly Shoulder bag for you. 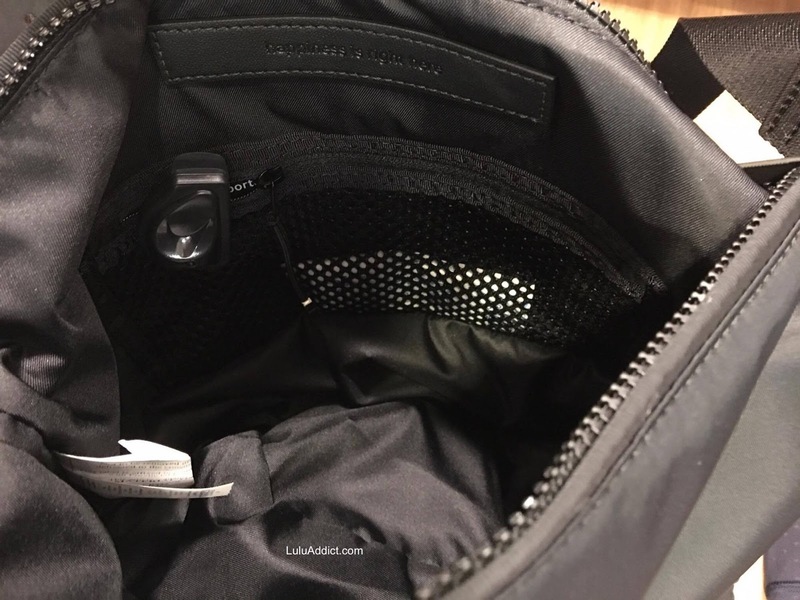 One of my favorite features of lululemon bags is that they come with a separate pouch for your wet things/shoes. 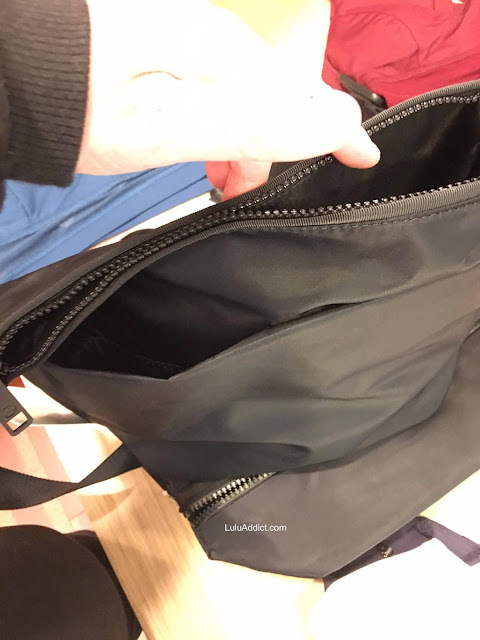 There is a zippered compartment at the bottom of the bag to stash the wet pouch. There is one pocket - a zippered mesh one - on the inside of the bag. 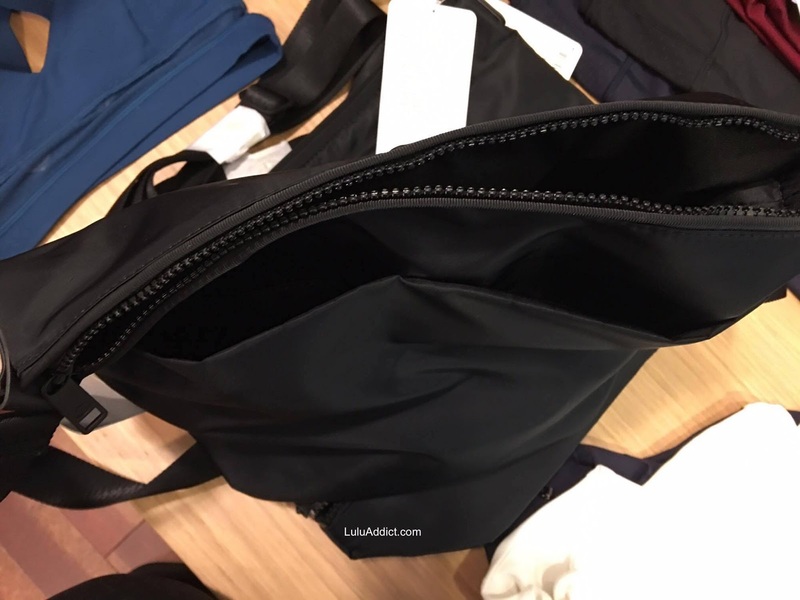 The back side of the bag has two long slot pockets for items like a water bottle or your phone. If you've found the Festival Bag on the small side in all this is a very handy size bag. Once mine comes tomorrow I'll post some comparison photos of it against the Diversity Bag. Please do. I'm very interested in this bag! Me too. I am finding the festival bag a bit small now that I need to carry two bottles inside my bag and would like something a big larger. I wish they'd put a bottle pocket on the side (inside or out) like in the diversity bag. I have one of the newer bags with the "slot" for the water bottle on the outside (larger tote bag) and it doesn't really work as well and i'm always wishing it had the netted water bottle pocket on the inside. I wish this bag came in brighter colours!